All right, kids, from the top. They are one and the same. Different sons, same mother. same ideology, same goal. same pretextual significance. The cornerstone of Hegelian Dialectics. The hodgepodge and amalgam of funny sounding names you’ll never master or care to. And certainly not the American mainstream media. 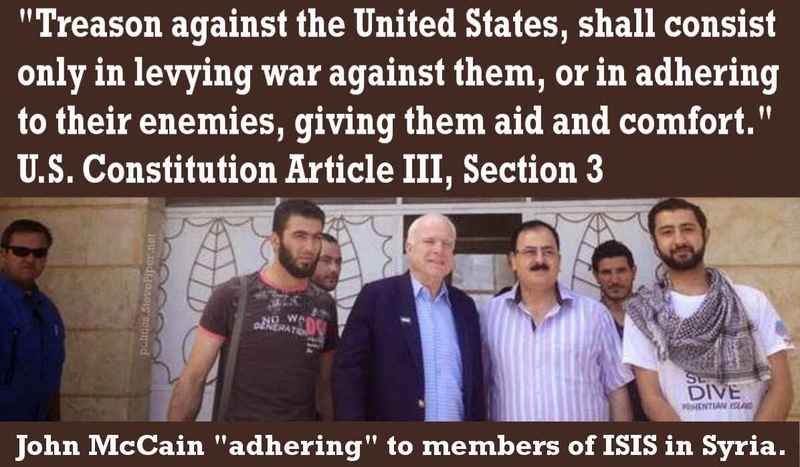 And look who’s front and center, collaborating with the rat Pack of terrorism. Mr. Potter. Johnny Boy. You will never be able to so much as grasp the complexity of the con unless and until you embrace the fact that it is indeed a con. From Charlie Wilson’s war to Zbigniew Brzezinski and al Qaeda and Taliban. Even the Gipper minded not sidling up with the enemy of my enemy. 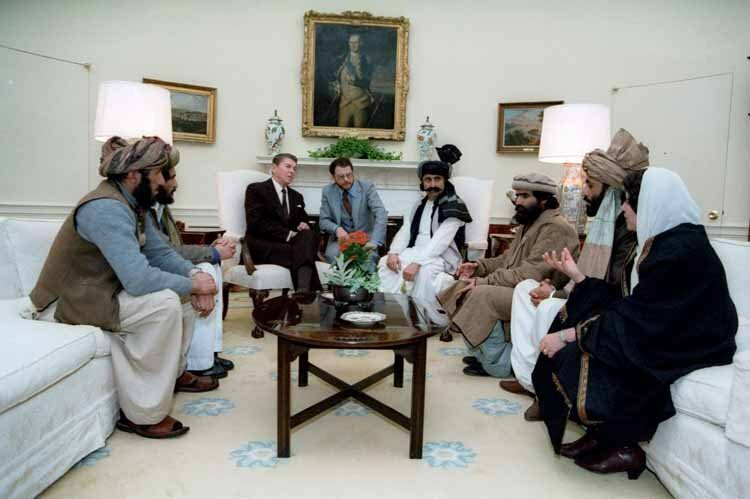 Referred to lovingly and euphemistically as “Freedom Fighters,” Ronnie Reagan meets Afghan Mujahideen leaders at the White House. See how easy that is? The following is an excellent tutorial and bill of particulars as to some of the abecedarian basics of the way it be, as the kids are wont to say. And you’d think that just one media type, just one, would see it wise to explain the rudiments.